Many popular religions, such as Christianity and Catholicism, also refute the idea of reincarnation because it contradicts the belief systems within the theologies which state that there is a place where sinners go after death called “Hell” and a place where the devoted go called “Heaven”. It becoming knowledge that the major religions were used as a control mechanism to manipulate the masses through the use of fear. It wasn’t until around the 17th century when science began to influence people’s belief systems due to the continued development of the scientific method and advancements with the laws of nature. This system challenged any truth that had no physical proof, and so began science’s dominance in human society. The scientific systems that were established provided many innovations and advancements for the human race, but there were still many questions that could not be answered by the scientific community such as various paranormal phenomena and other impossible ‘miracles’ in nature. The 20th century ignited a new wave of science that dealt with the exploration of consciousness, psychedelics, and paranormal psychology that collectively aimed to connect the spiritual and scientific communities. Instances of near death and out-of-body experiences during which people were consciously aware, after being declared clinically dead, began to test the hard facts that science had previously established. Today these cases are still widely reported and there are remarkable similarities between the reports all over the world. 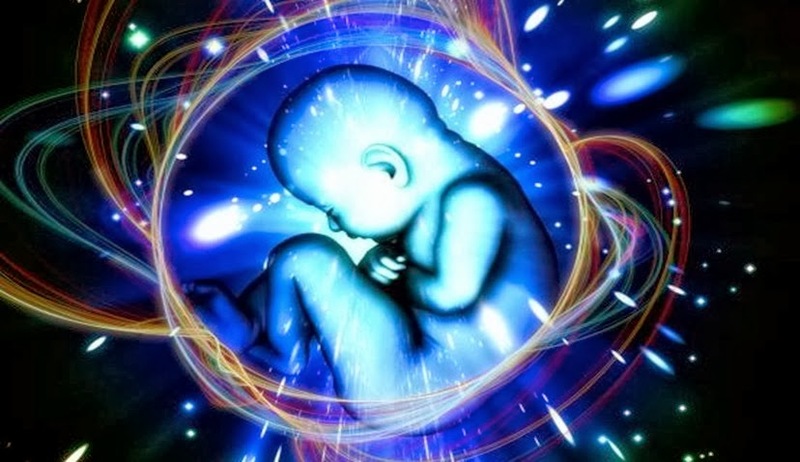 Dr. Pim van Lommel, a cardiologist in the Netherlands, conducted the largest hospital-based study of NDEs (Near Death Experiences), years after hearing a patient report seeing a tunnel, a light, and beautiful colors and hearing wonderful music during a clinical death in 1969. Dr. Lommel was inspired to research the matter further after hearing a detailed near death experience of someone who had been clinically dead for six minutes. Evidence of life after death continued to rise with the ground-breaking addition of work from hypnotherapists such as Dolores Cannon, Dr. Ian Stevenson and Dr. Michael Newton. With over 50 years of client-session information documenting people’s subconscious memories of past lives and even memories of the time in between two lives, something has to be said about evidence from the doctor’s research supporting reincarnation. Dr. Newton explains that people under hypnosis are not dreaming or hallucinating— and in this state they are not capable of lying. They report whatever they see and hear in their subconscious minds as if everything is a literal observation. While under hypnosis, it is possible for them to misinterpret something they are seeing, but they will not report on anything they do not feel to be the literal truth. “I also found that it did not matter if a person was an atheist, deeply religious, or believed in any philosophical persuasion in between— once they were in the proper superconscious state of hypnosis, all were consistent in their reports….” Dr. Newton in David Wilcock’s ‘The Synchronicity Key: The Hidden Intelligence Guiding the Universe and You’. 1.) Lommel, Pim van. “About the Continuity of Our Consciousness,” in Brain Death and Disorders of Consciousness, ed. C. Machado and D. A. Shewmon (New York: Kluwer Academic/Plenum Publishers, 2004); Advances in Experimental Medicine and Biology (2004) 550: 115-132, http://iands.org/research/important-research-articles/43-dr-pim-van-lommel-md-continuity-of-consciousness.html?start=2. This entry was posted on June 15, 2014 by Sanatan Dharm and Hinduism in HINDUISM SCIENCE and tagged REINCARNATION.